WE USE THE POWER OF AI COMBINED WITH TALENT EXPERTS TO SUPER CHARGE YOUR HIRING EFFORTS. 1. After you sign up with our team, you'll be introduced to your Talent Partner who will get to know you and your company. 2. Your Talent Partner will create and optimize your company profile and job descriptions. When you give us the thumbs up, we'll active your profile and jobs. 3. 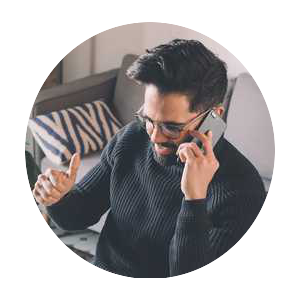 Your Talent Partner is always available via the Talentpair app to discuss your hiring needs as your talent search progresses. Have a question? Ask away! 1. Once your jobs are activated, Talentpair AI immediately begins identifying and filtering the best candidate matches for the position. 2. You don't have to limit your candidate search to the top talent signed up within our app. Share a public job link anywhere you post your job, and Talentpair will accept new applications via that link. 3. We use data science to determine and show you the best applicants who are interested in your job, and we'll filter everyone else out so you don't have to. 1. Reviewing a candidate within the Talentpair app is easy. 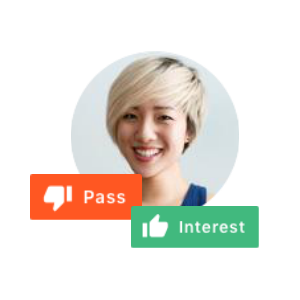 Simply click to view the candidate's profile, then click to pass or express interest in moving forward with the candidate. 2. Message your Talent Partner with questions or comments about the candidates. 3. Collaborate with your hiring team to discuss candidates across multiple jobs. 1. When you get matched with a candidate that you love, simply click to express interest. Your mutual pair will immediately be created, and you'll receive that candidate's contact information. 2. Contact the candidate to schedule the interview yourself, or ask your Talent Partner to do it for you. 3. Let us know how it went. If you want to find additional candidates, we can help you do that too.